Ritika Singh is senior vice president and director of Diversity, Inclusion and Engagement at Associated Bank in Milwaukee, WI. She recently joined Associated Bank with over 15 years of experience in human resources management and leading diversity and inclusion for Fortune 50, Dow 30 and Top 10 Diversity Inc. global companies such as ESPN (The Walt Disney Company), Prudential Financial and United Technologies. 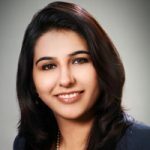 Ritika has a unique background as a seasoned human resource and diversity and inclusion (D&I) thought leader. Her professional experiences include partnering with senior leadership teams to develop overall diversity and inclusion strategy to foster inclusion, achieve business results and enhance customer value. In her D& I career journey she has rolled out D&I action plans, launched innovative enterprise-wide D&I learning and awareness programs, driven key talent management and engagement programs, designed global expansion of employee resource groups and led D&I councils. During her career, Ritika actively supported and partnered with several national and regional diversity organizations and nonprofits including National Black MBA Association, National Society of Hispanic MBA, Society of Women Engineers, ASCEND, INROADS, ALPFA, The National Association for Multi-Ethnicity in Communications (NAMIC), Women in Cable Telecommunications (WICT). She is a sought out public speaker on D&I, human resources and employee resource group best practices at various cross-industry conferences and forums such as The Network & Affinity Leadership Congress (NALC), NSHMBA ERG Summit, CT Women in Leadership Conference and CT SHRM D&I Council. Ritika takes pride in her distinctive and diverse background that has shaped her career and life. She is proficient in four languages, holds an MBA degree from Rensselaer Polytechnic Institute (RPI), NY and bachelor’s and master’s degrees in accounting and finance from India.